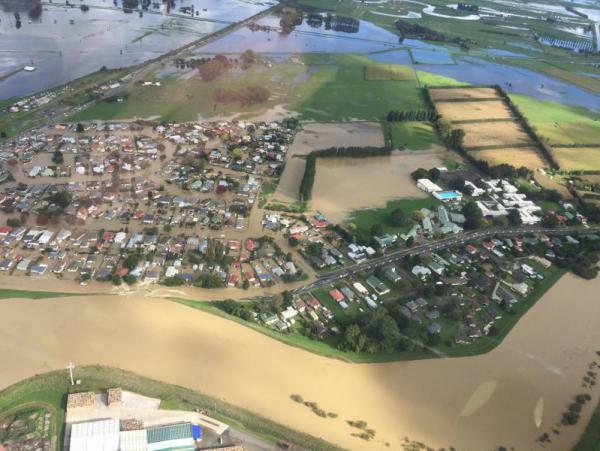 Two years on and the events of April 6th 2017, which saw widespread flooding across the entire Eastern Bay of Plenty, remain a source of pain for many residents. Now that pain and the healing which has taken place since, has been documented in a new book, ‘The Day The Wall Broke - Edgecumbe Flood Book’. Co-creator Ashlee Sturme says it’s a way to give Edgecumbe residents a voice and showcase all the positive things that have happened since. The book by locals, for locals, aims to give the full picture on the events of the day and how it affected the community. Ashlee says it's been a long process putting it together. “It’s been a really emotional journey, we met with 35 residents to hear their stories and there’s still a lot of grieving and hurt going on. People are still really upset and it’s been really emotional listening to those stories and trying to truly capture the essence behind how they’re feeling. She says she’s proud of the project. “The book has a lot of suspense and tension in it, so when you start opening the very first pages it’s like ‘Breaking News: evacuation, the wall is breaking, there’s a wall of water going through the town’ and then it starts leading into the rebuild and recovery. More than 120 copies of the book have been pre-sold, and those wanting to get a copy are urged to do the same. The book retails for $35 and pre-orders can be made via the book’s Pledge Me page, with printed versions soon to be available from the 1xx reception.